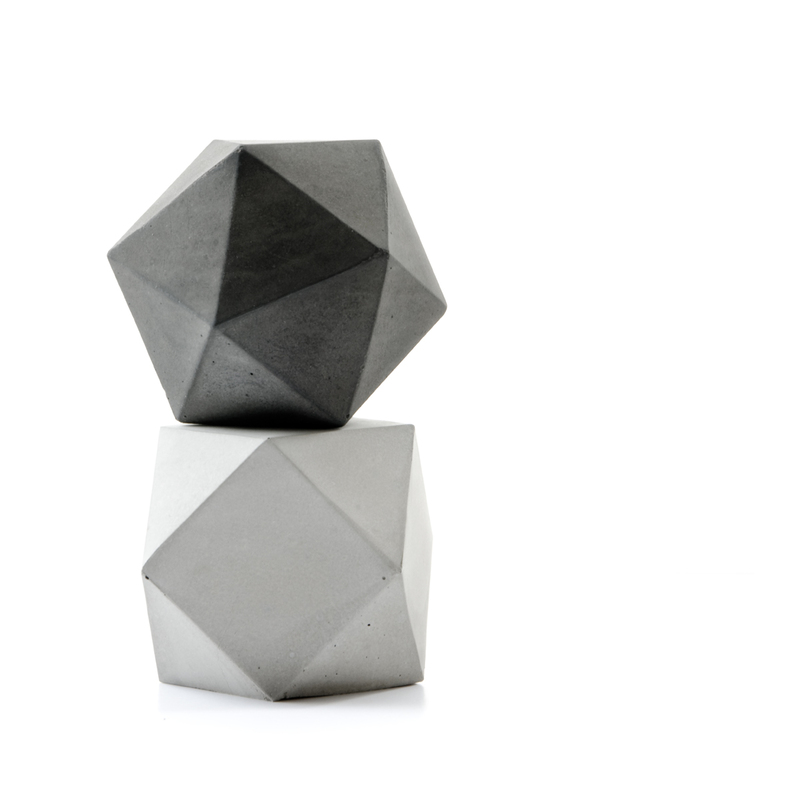 Contemporary geometric lines and timeless elegant shades of grey are the highlights of this modular sculpture or bookend set. 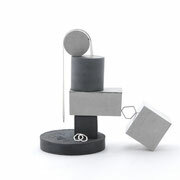 Place the solids of this set on their own and let their simplicity shine or incorporate them into your display of favourite things and objects. 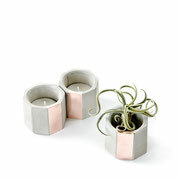 They also display very nicely as table decor or on sideboards and shelves. 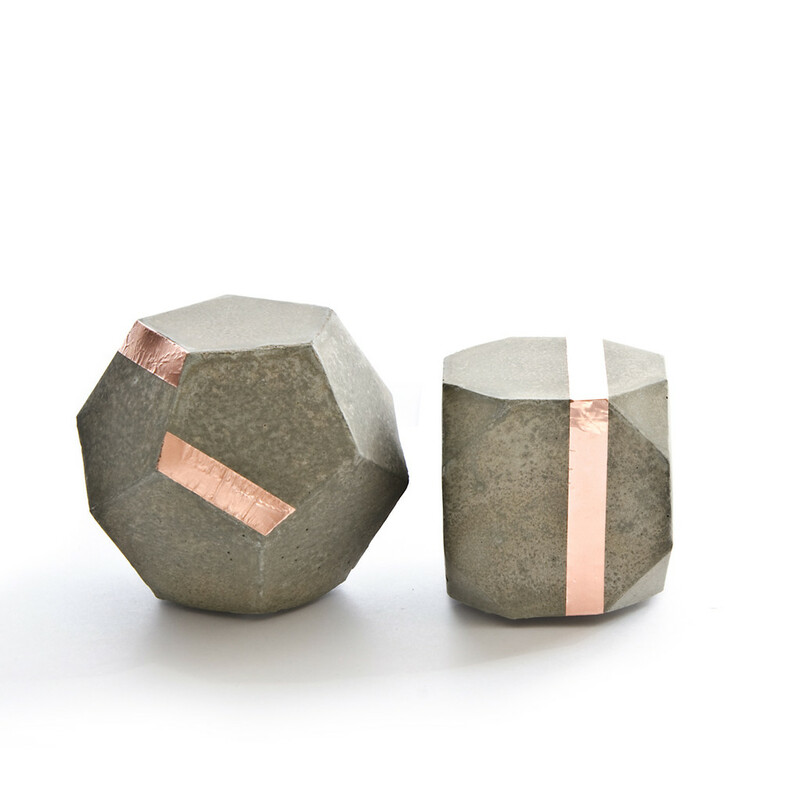 The solids are finished uniquely with every pour due to the nature of the material and are nonetheless very tactile. 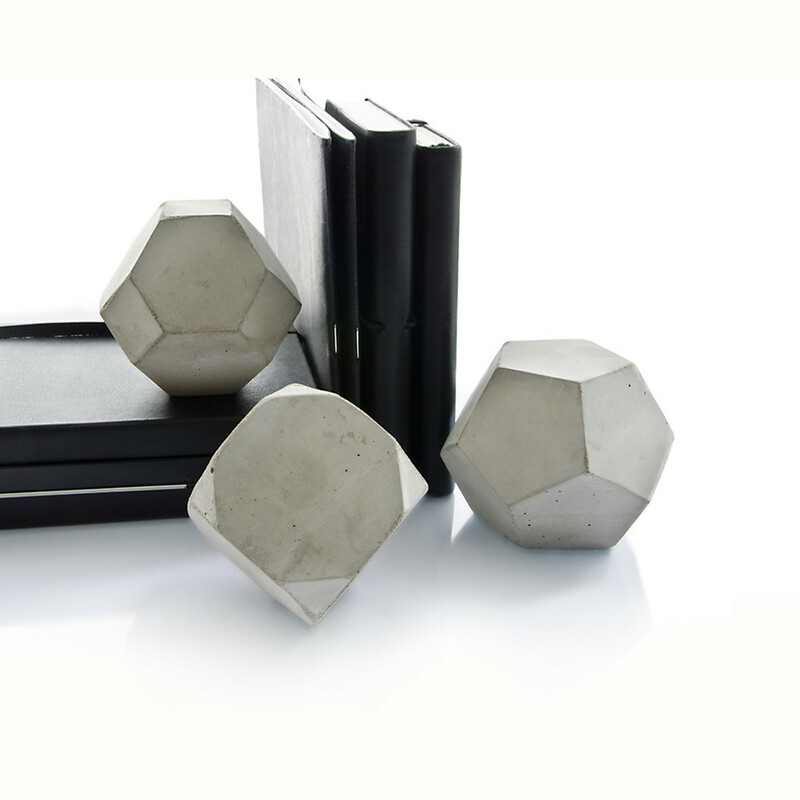 They are wonderful bookends for small books or paperweights. 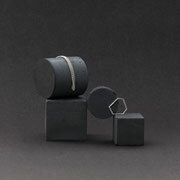 psst ... more set options are below, enjoy! 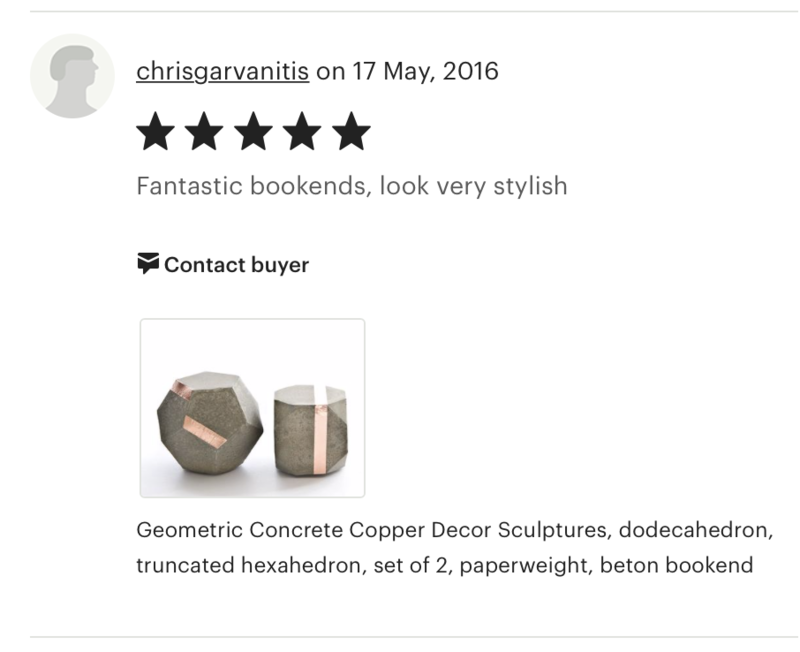 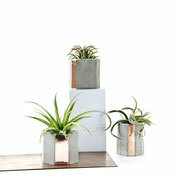 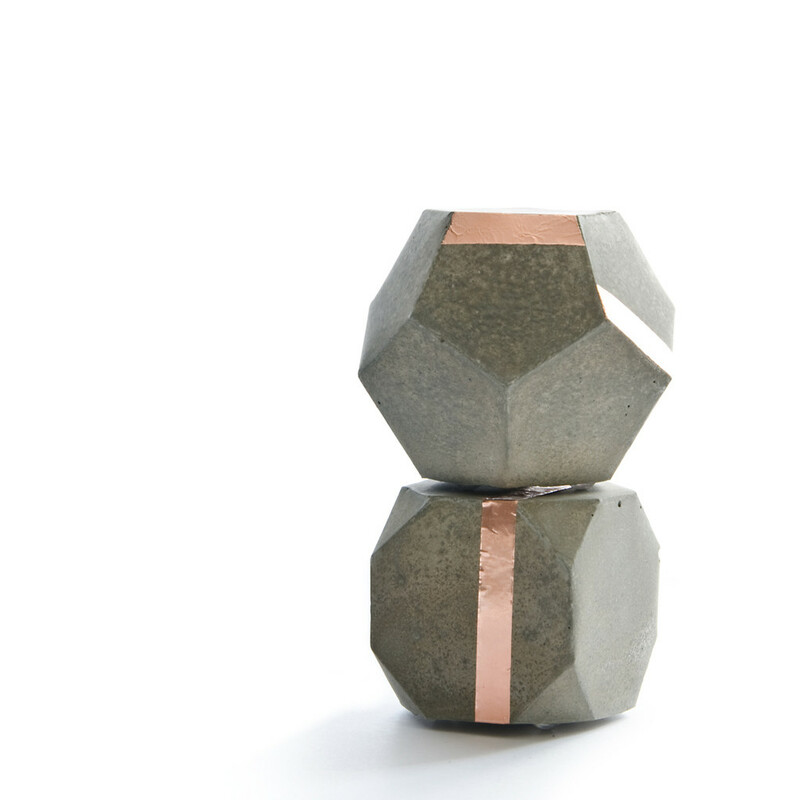 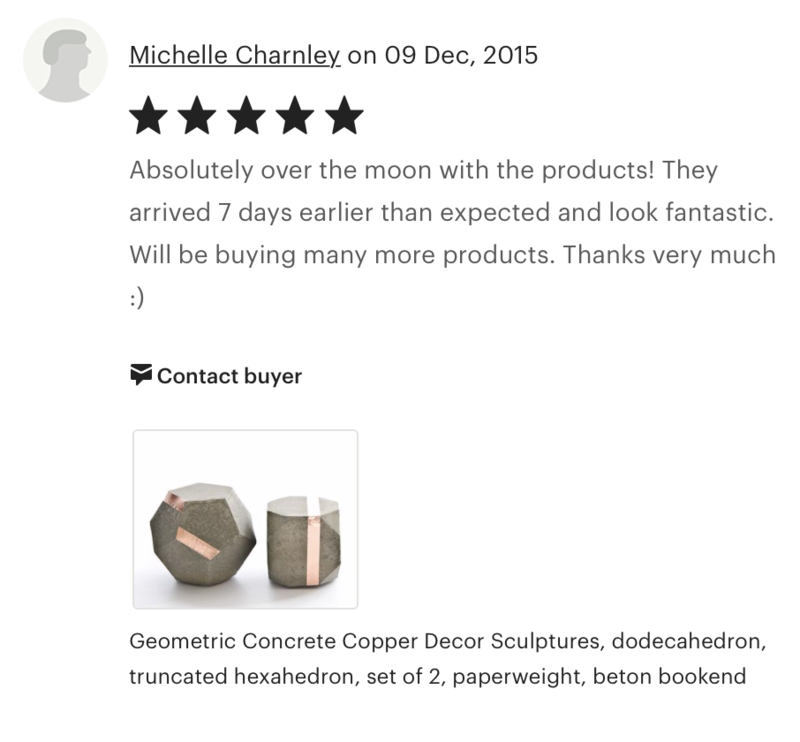 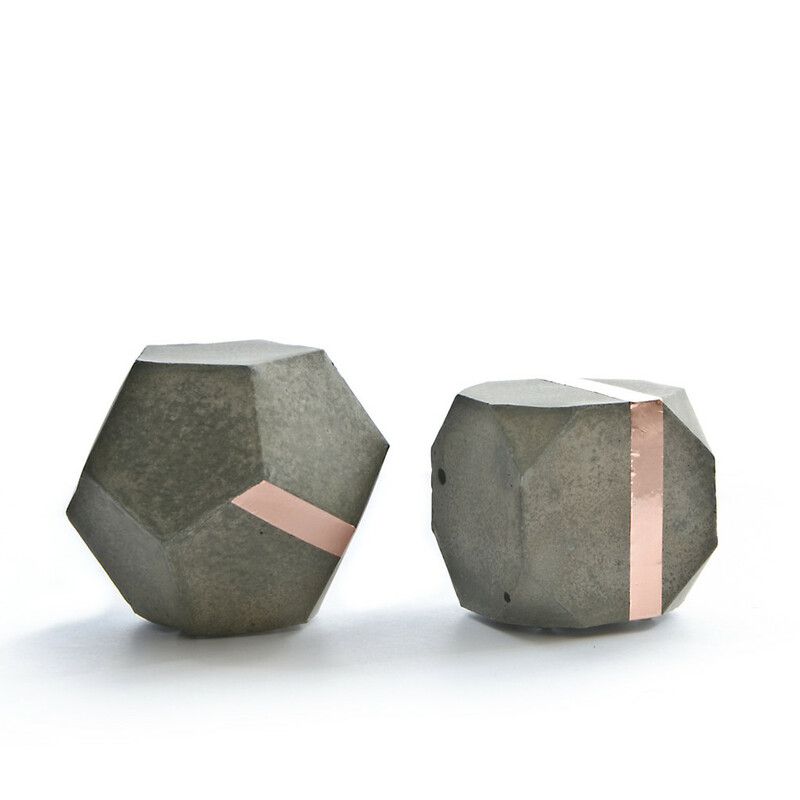 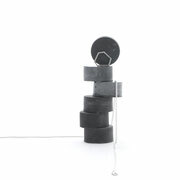 A modular sandy grey geometric concrete sculpture solid set with copper accent. The set wonderfully utilises as bookends for small books or as paperweights. 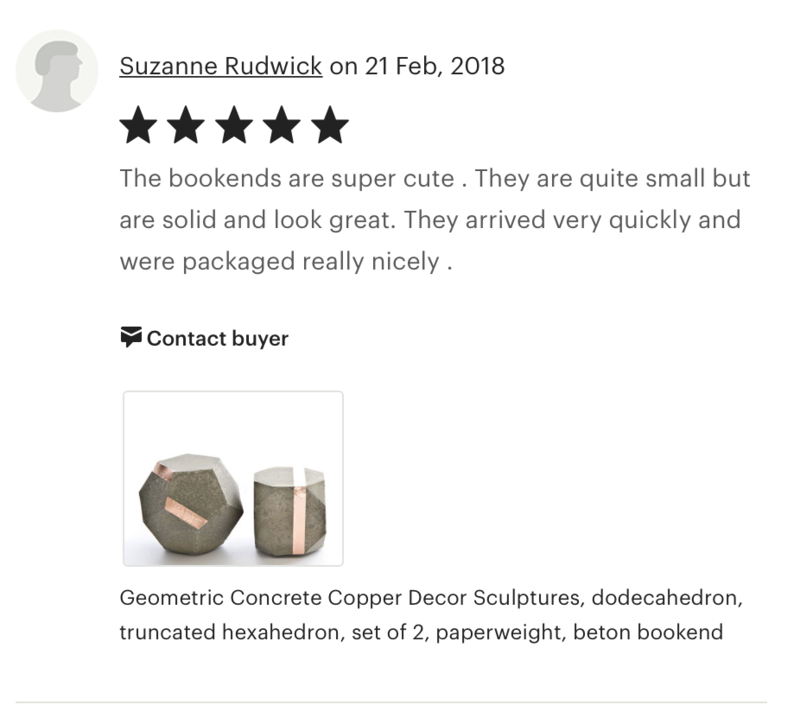 But their true nature is very attention seeking and a display as sculpture still-life on sideboards, shelves or a coffee table could just be the perfect place for them. 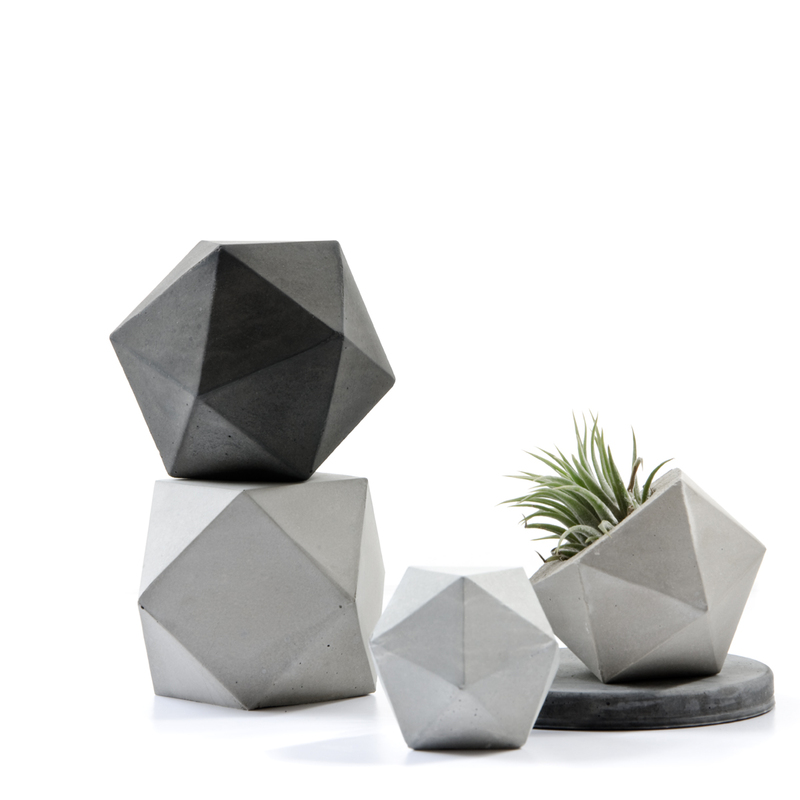 The overall look is fairly warm and inviting even though every set finishes unique in tis grey shade as the yellow sand dominates the depth of the shadings. 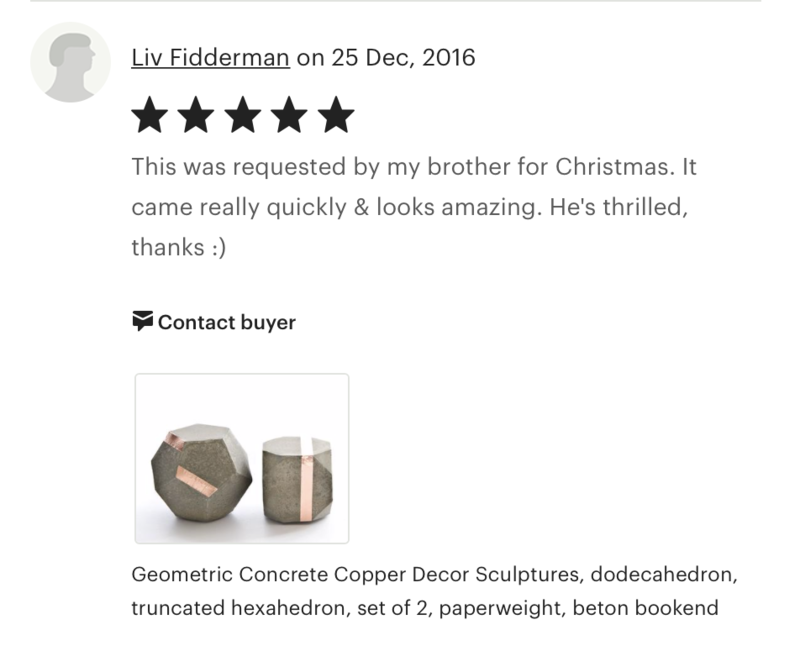 The set was well received as housewarming as well as birthday gift and of course sometimes this is just the gift to give to yourself! 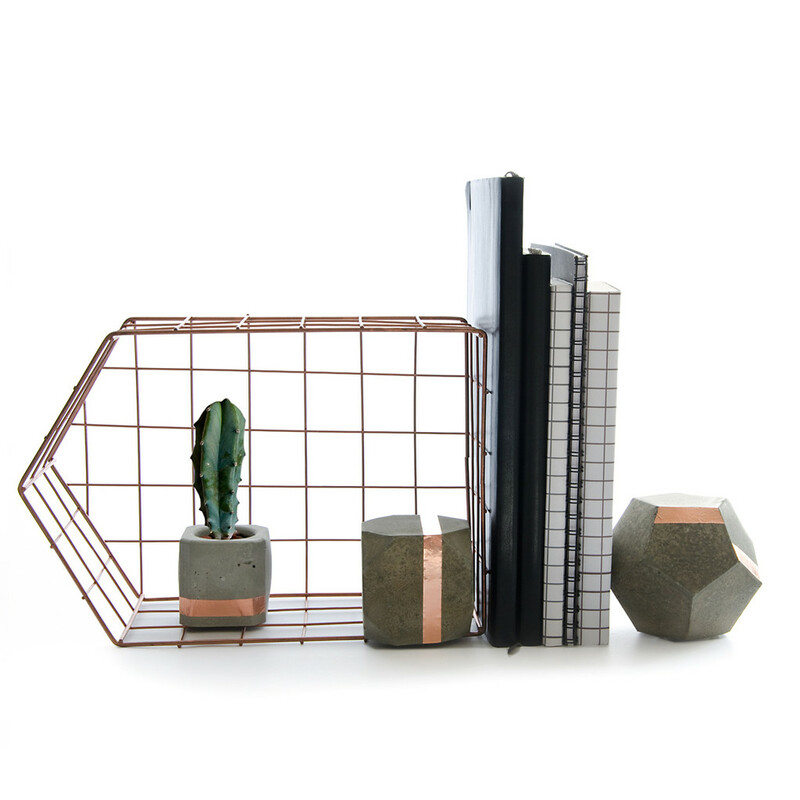 psst ... more set options are above and below, enjoy! 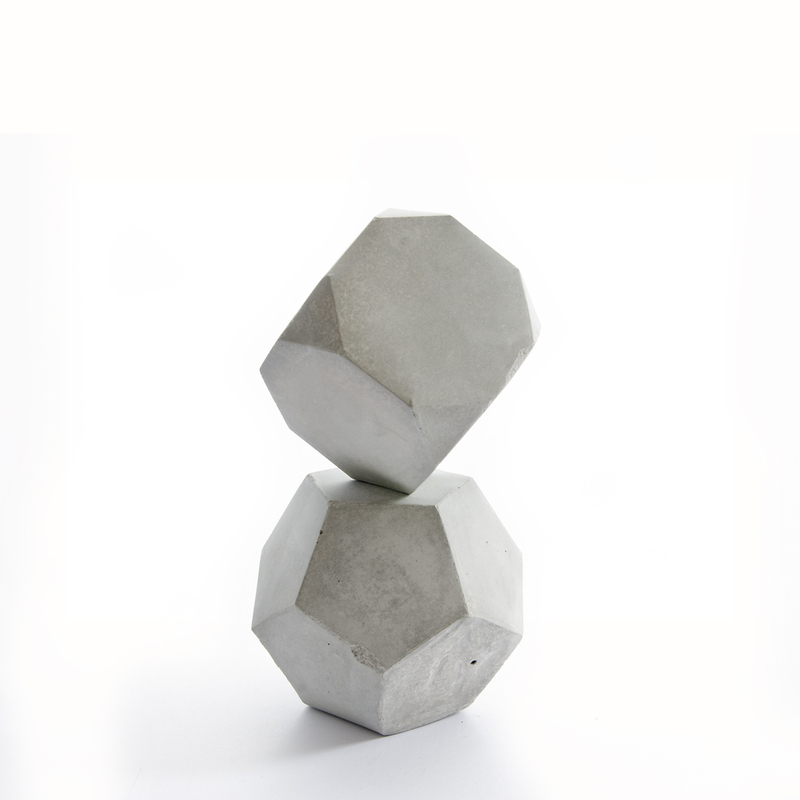 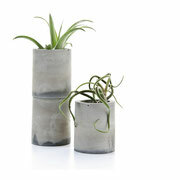 Two fanciful geometric pale grey concrete solids form this modular sculpture still-life. 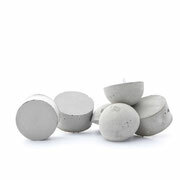 Each is finished fairly smooth and is, even though the concrete finishes unique every time, very tactile. It is a very contemporary and laid back geometric set with timeless elegant lines. 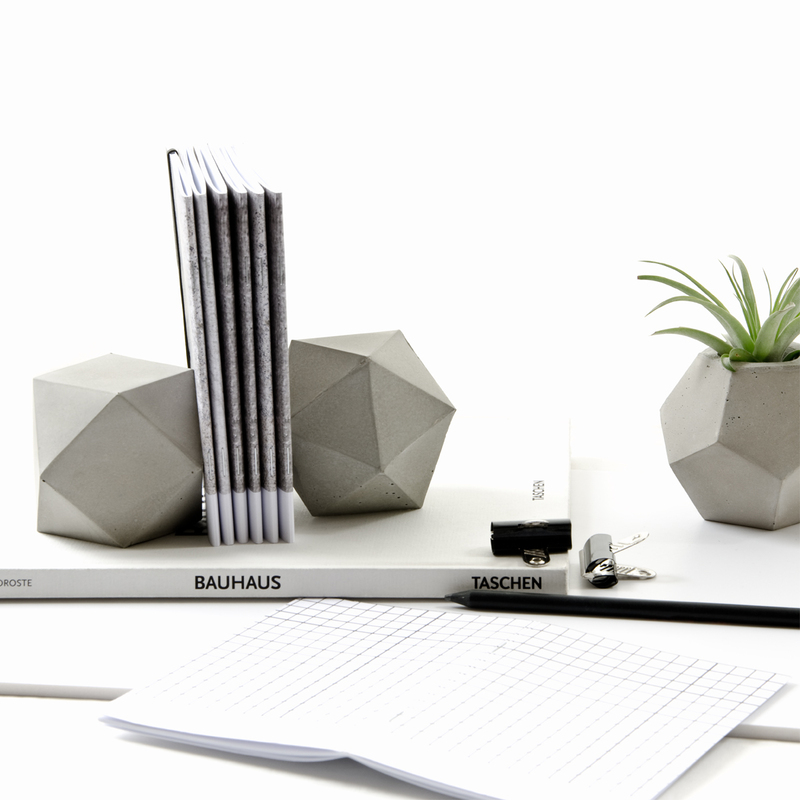 They can be utilised as bookends for small books or as paperweights. 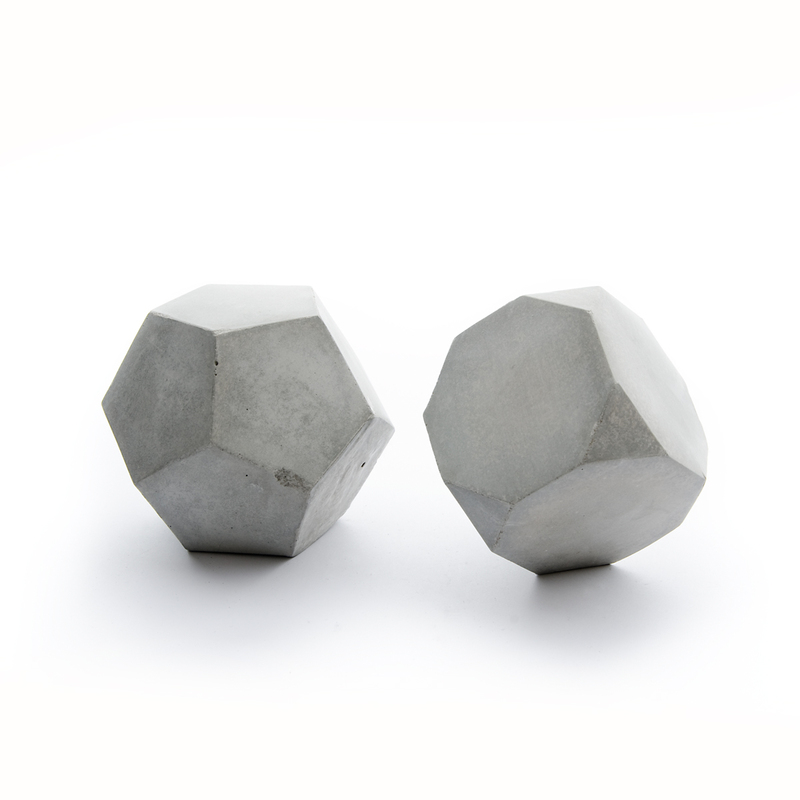 They are wonderful objects for a sideboard, coffee table or desk. 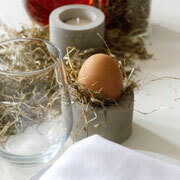 psst.... more options are above and below, enjoy! 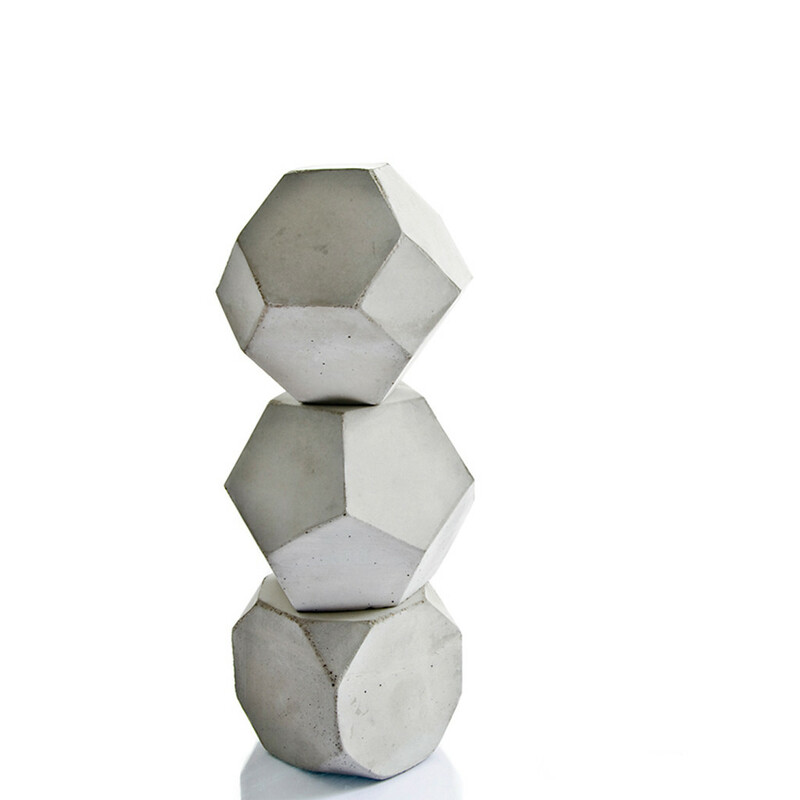 Geometric Modular Sculpture Set || Set shown in image 1 and 2. 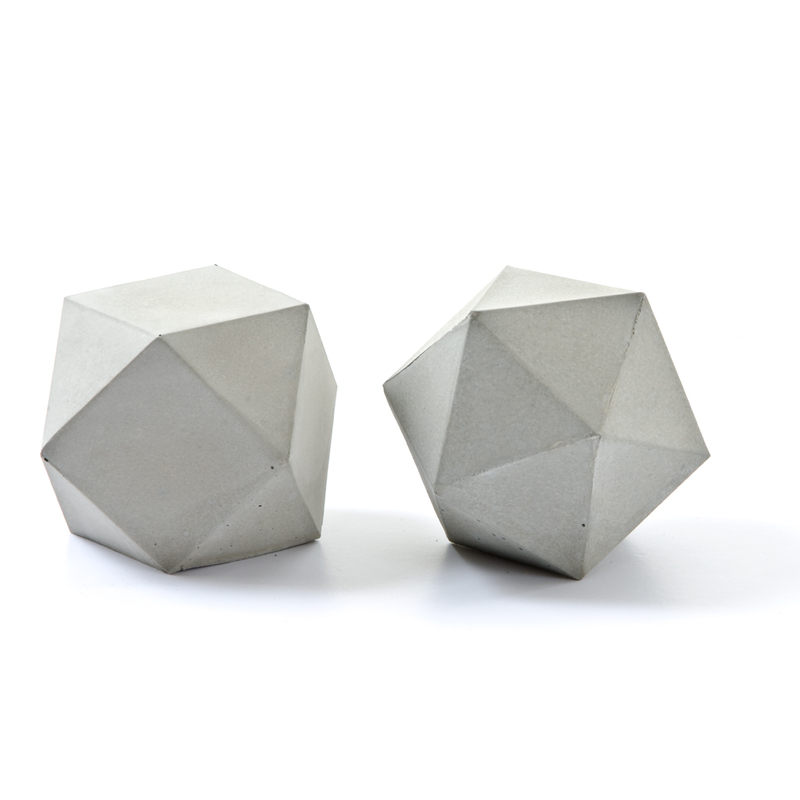 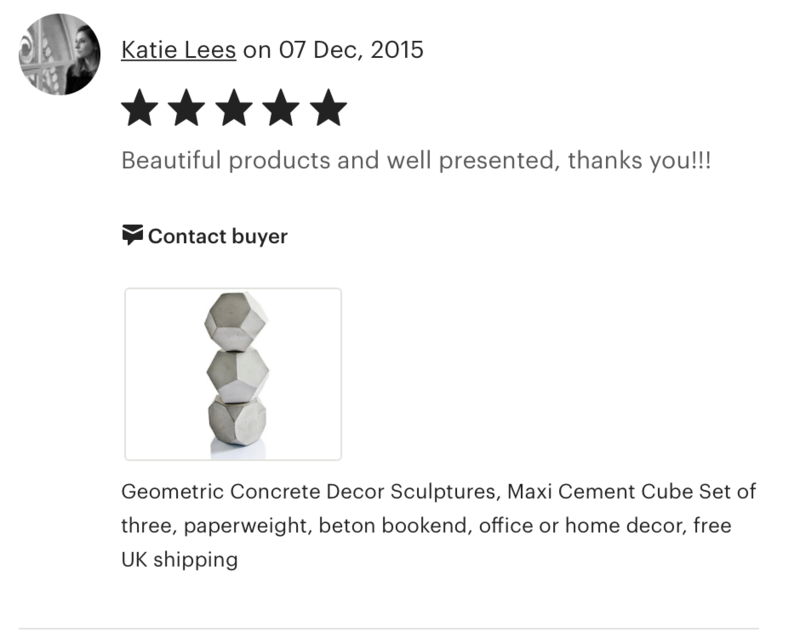 This modular concrete sculpture set includes a dodecahedron, truncated octahedron and truncated hexahedron. 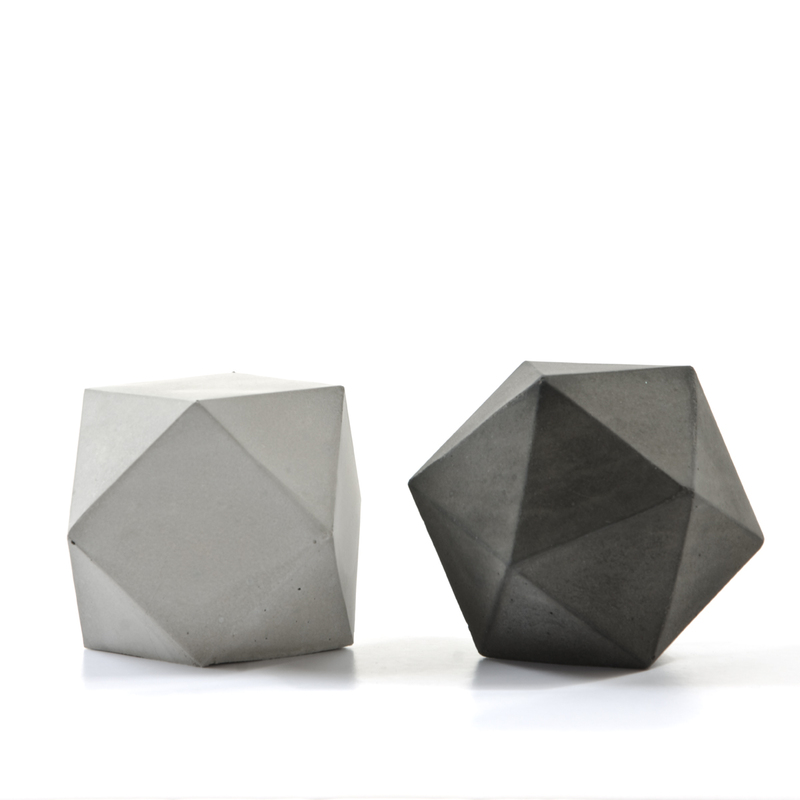 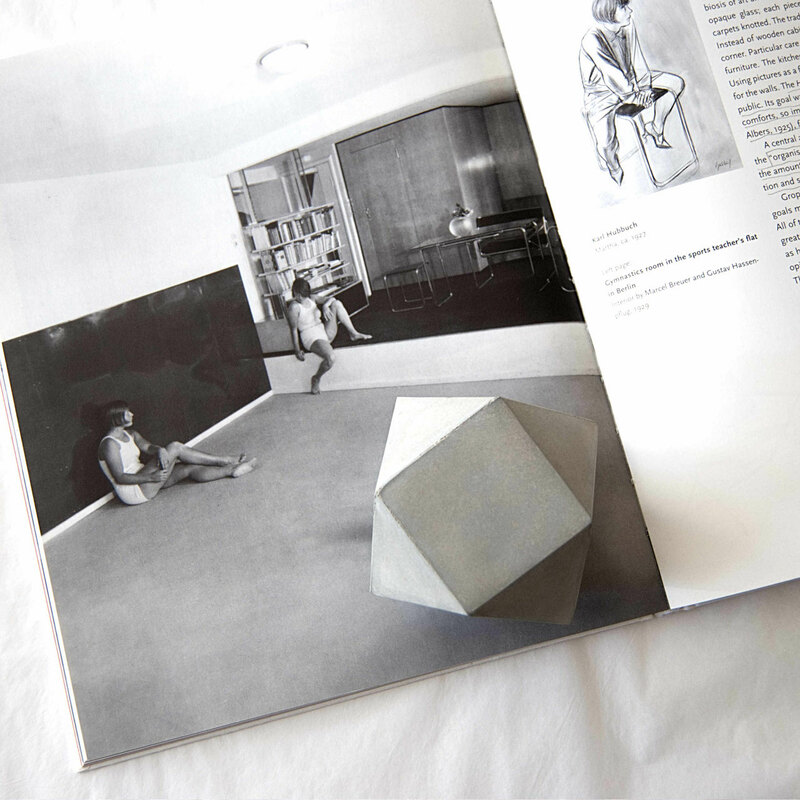 The three sculpture solids celebrate contemporary minimal design. 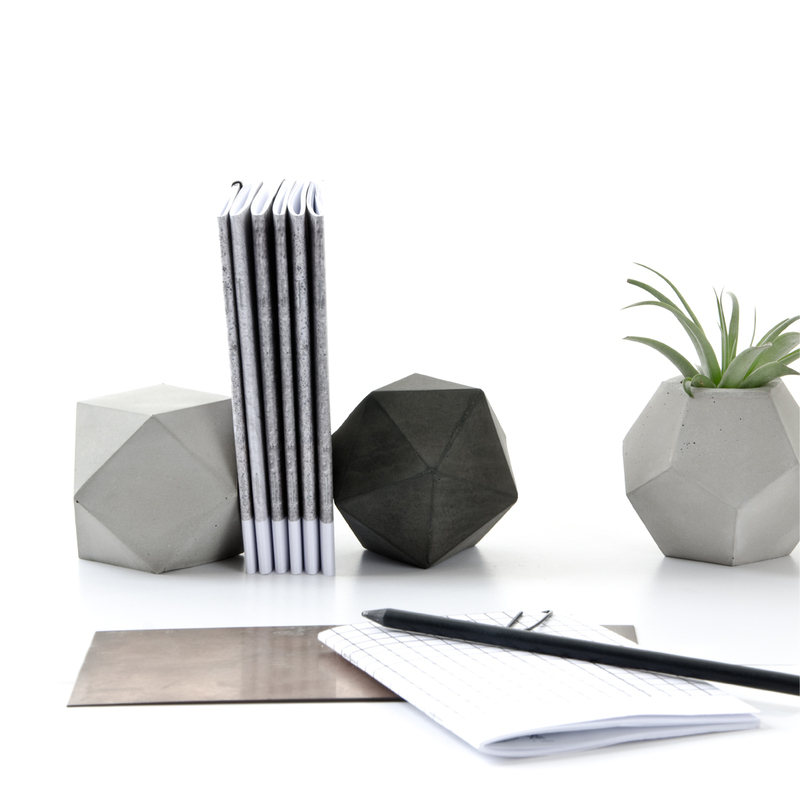 Place them separately or together on your sideboard, art shelf, nest them with your concrete planters to add an extra geometric edge or use them as unique paperweights or decorative bookend for small books. 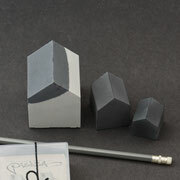 Each solid finishes with unique imperfections due to the nature of the material but are overall finished very smooth. 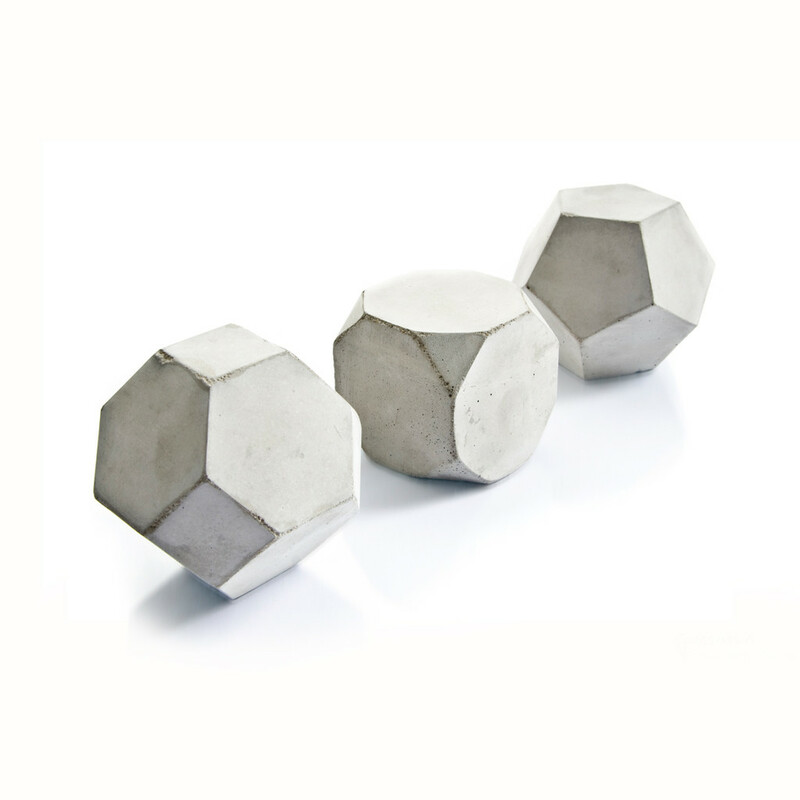 Finish: concrete not painted or waxed; individually stamped with my name (PASiNGA); clear rubber feet included, add them at your leisure to protect sensitive/glossy surfaces.